Bagoto Vegan Black Edition is at the forefront. 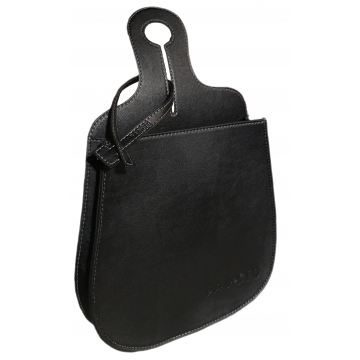 It is the result of an anticipated latest trend in design, the new high end car organizer is dedicated to attract in particular a male audience that is as much demanding in terms of aesthetics as in eco-citizenship. Since the Bagoto Vegan Black Edition is made out of recyclable material, that imitates perfectly the natural leather, and since at the same time it does not make use of neither any animal products, nor harmful material, it meets the objectives set for the respect of the animal condition as well as the environmental protection which are the core ethics of Bagoto since its conception. Delivered with its own tie and personalized cotton felt bag, all in a packing box. 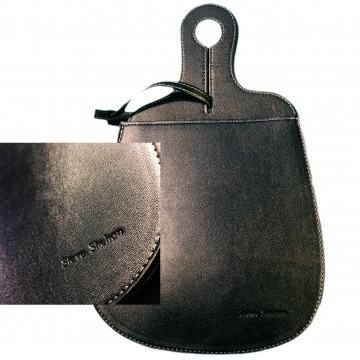 It has the leather look, the leather feel, the leather elegance…but it is simili-leather. When the name is Bagoto Vegan, not only it shows a respect for the environment, but also for the animal condition. A self conscious awareness that is taking on a society, wishing to live on more harmony with its surroundings without compromising its pleasure deriving from high end items, made with craftsmanship. 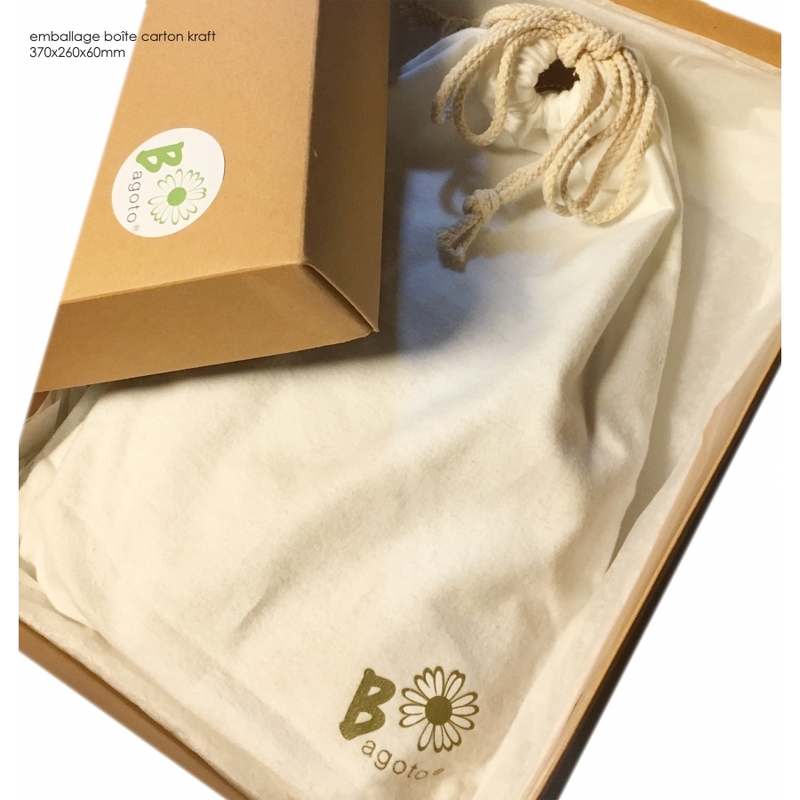 Made of recycled material that feels exactly like natural leather, the Bagoto family newborn is a high end vegan leather organizer, decorative, light and resistant all at the same time. 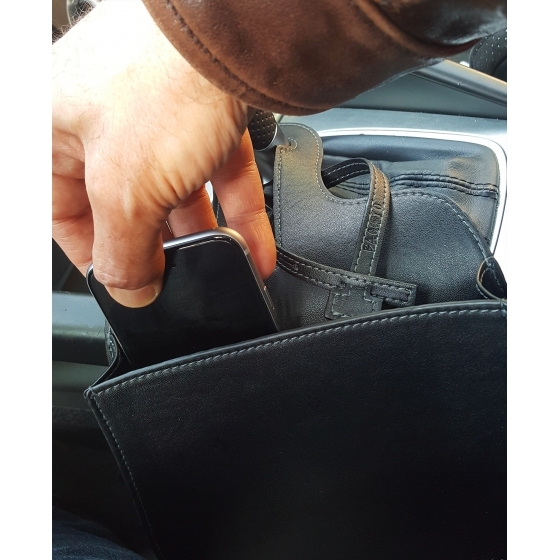 Placed driver’s or passenger’s side, it is able to store the many objects we encounter on board on a daily basis – keys, cellphone, glasses, payment tickets, … - and it has an easy access to it by a simple hand extension gesture. 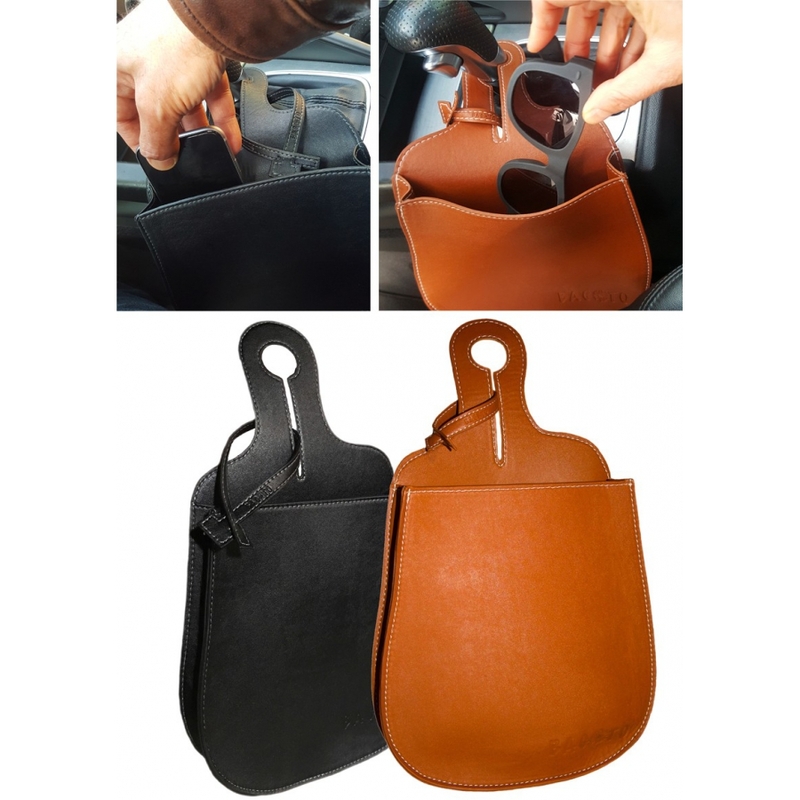 Available in black and havana colors, Bagoto Vegan matches perfectly the interior of your car. Bagoto Vegan measurements are 33cm in length and 20cm in width. The synthetic material used in our line of Vegan products is a combination of Polyester and Polyurethane (50%PS/50%PU). Two highly common materials used in the packing industry, that have been proven for their strength and environmental quality. 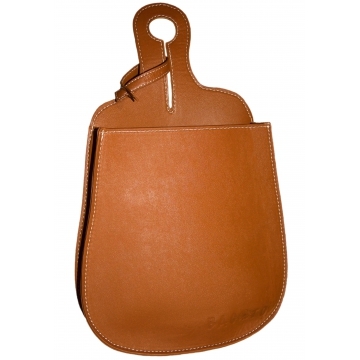 Reusable and durable, it offers an unmatchable long life. Hand washable with a damp sponge and a little soapy water, it will be the faithful companion to its user for many years to come. 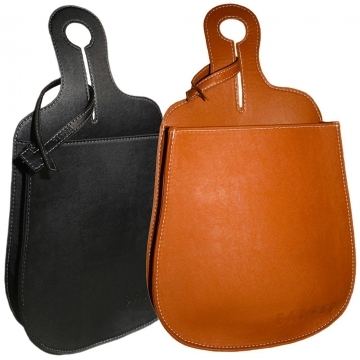 Bagoto Vegan, an ideal gift for the responsible driver.